Where there’s tea, there’s hope..
..rightly said! I love to have tea and consider it as one of the greatest stress busters of all time. Tea is an indispensable part of my life, hence, you could see me doing a lot of tea reviews, on many variants and flavors. When I see these new flavors and varieties in tea, I believe it is no less a representation of my beloved country, India, as, despite the various blends and aroma, the root is still the same, the experience is still the same. 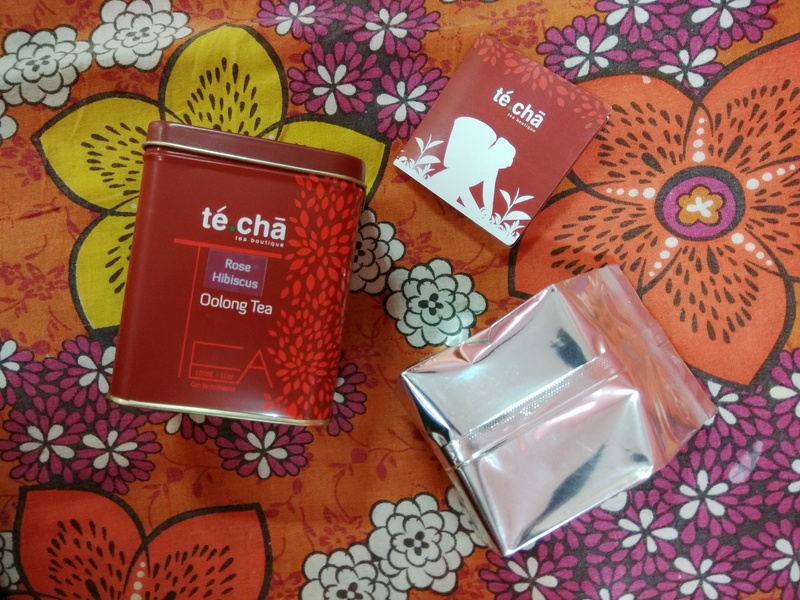 This time, I was been sent these lovely samples by TeCha Tea, which comprised of Rose Hibiscus Oolong Tea, Exalte Jasmine Green Tea and Winter Dark Chocolate Black Tea. The Rose Hibiscus Oolong was packed in a beautiful little red tin box and the other variants came in sample size sachets. How did #akatheversatile like the TeCha Tea variants? I personally love flowery tea blends. This blend is one of my personal favorite. When I tried the Rose Hibiscus Oolong variant, it was simply divine. It had high notes of flowery aroma and a sweet citrusy taste to it. As usual, it became my instant favorite. The Exalte Jasmine Green Tea was another blend of flowery tea and it is said that Green tea is one great stress buster and this was no less than that. Apart from being relaxing, it has a peculiar jasmine aroma to it and this has been one unique blend that I have ever tried. Lastly, the Dark Chocolate Black Tea had a distinct bitter taste, the flavor being dark chocolate, but it was something new to try on and the taste was unique. Overall, each blend had a unique taste and aroma to it and I believe that they are a must try. I would personally recommend all of them to my readers and followers, to try these variants, atleast once in their lives. You will definitely love them. Do you love tea? Which is your favorite blend? Share your ideas and views in the comment section.